On September 4, 2010, Om Prakash was going to school along with other students in a Maruti van. But all of a sudden, the van caught fire because of a short circuit in the gas kit. The driver immediately opened his door and fled. But not Om Prakash. He broke open the van door and pulled out several of his friends alive out of the burning van, caring little about his own safety. 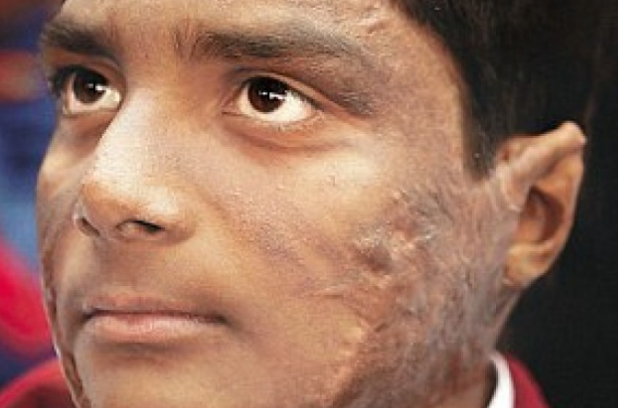 He received burn injuries on his face, back and arms, hasn’t received proper medical treatment and lost one year of school. But ask him would he put his life in danger once again if caught in a similar situation? You are the Inspiration for everyone around the globe! We salute you for your acts of bravery.